Prior to 1973, Australians had to seek a religious celebrant or a registry office if they wanted to marry. Religious celebrants are governed in much the same way as in Canadian provinces, although the government proactively publishes a list of recognized religious organizations. 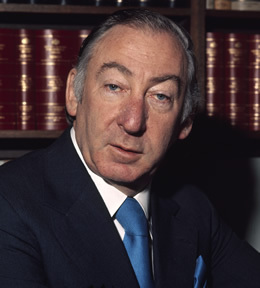 High Court Justice, Senator, former Attorney General of Australia and Humanist Lionel Murphy created the Civil Celebrant Program in 1973. Unlike marriage commissioners in British Columbia, anyone can apply to become a civil celebrant, provided they meet the qualifications and pay the fees. The Humanist Celebrant Network serves to connect registered civil celebrants who identify as Humanists in Australia. Following the Australian model, the New Zealand Humanist Society and the Rationalist Association convinced their government to pass an amendment to their country’s Marriage Act that allowed the appointment of secular marriage celebrants in 1976. Since then, civil celebrants can be nominated by groups to the Justice Department’s official list. Those celebrants can conduct weddings from 6 AM to 10 PM on any day of the week, in any location and using any ceremony. The New Zealand Humanists lists four celebrants and the New Zealand Association of Rationalists and Humanists has four more, as well as three Justices of the Peace.